2015 has been a turbulent year in the employee travel security sector. Although many worldwide security issues were making the news this past year, three stories stand out in particular. Based on both impact to global security and international media coverage, the employee travel security experts at the IMG Group believe that police shooting incidents this year (especially following the 2014 Ferguson shooting of Michael Brown) should be third on their list of the most significant security news stories of 2015. Since the shooting of Michael Brown in Ferguson Missouri in 2014, there have been a number of high profile police shooting incidents. The media coverage of these police shooting events has been accompanied by a rise in murder rates across many major American cities. Some dub this phenomenon, the “Ferguson Effect,” alleging that increased scrutiny of law enforcement has made Police more reluctant to enforce the law, particularly in violent neighborhoods. However, others dismiss this claim, contending that recent Police behavior has eroded trust and decreased cooperation between Police and the African-American community. Check back again next week for the final installment of our Top News Stories of 2015 post series, where we will finish out the list with our choices for the top two travel security-related news stories of 2015. 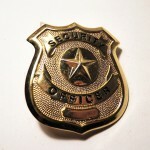 IMG Group is a leading worldwide employee travel security firm. Corporate or business organizations concerned about their need for detailed employee travel security management can reach out to the Incident Management Group for assistance. The company’s expert security consultants provide services such as employee / executive travel security, international security consulting, international threat assessment, forensic psychology consulting, workplace violence consulting, crisis management consulting and more.